So a little reprieve from wedding stuff for a moment. A while back I made this tutu for my little missy. My sister had given her a tutu for Christmas and her everyday wearing had made it quite thin and scragly. I used the old tutu and added to it. If you are starting from scratch, measure the waist with your elastic, sewing ends together so there's enough tightness that it will stay put. Cut the toule about 2-3 ft long, depending on the length you want (experiment a littlle). 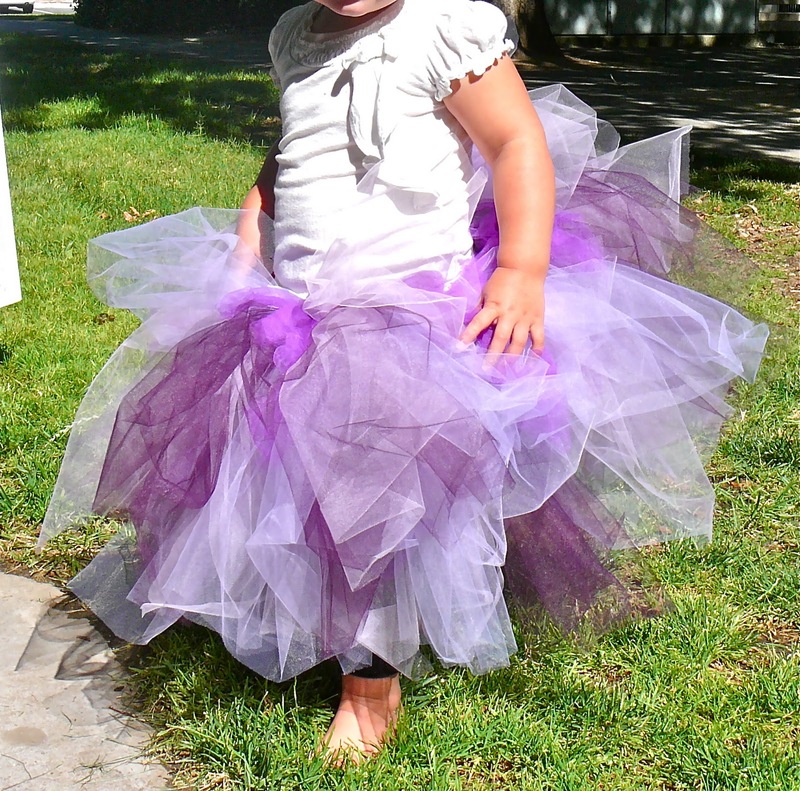 There was always my little girl and my bff running around at the park together in their tutus. It can't get much cuter than swinging or riding tricycles in this. Well, maybe fairy wings top the cake! you are GENIOUS! i just drooled over every project!!! we follow you back!